You’ll have to hire a few local people including a cleaning team, emergency contact, and repairmen. A quality cleaning team is crucial. They will also restock consumables. If you want to be totally hands off, you will need a property manager. 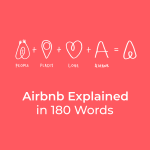 The process laid out in this post will require up to an hour per week per Airbnb listing of your time. Did you know I run a full-service Airbnb property management company from where ever in the world I am (at the moment, I’m in Colombia)? Sometimes I’ve never seen the property in person before I start managing. Not only that, but my properties span from the East to the West coast of the USA. My process allows me to manage a property anywhere in the world regardless of where I physically am while still offering the guest a personal experience and emergency contacts. This chapter will outline my process for minimizing work yet keeping both the guest and the host happy. It’ll take a bit of setup, but most of the tools will need to be only slightly greased going forward. Even after the setup, there is still a small time commitment. 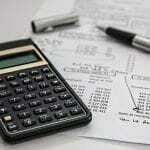 It depends on the property, but an hour per week is usually sufficient for two properties. The goal is to anticipate and remedy guest complaints in advance and eliminate as much manual work as possible while still offering the guest a personalized experience. Pro Tip: Silence bothers no one, but noise can drive some people insane. To be as hands-off as possible, you must anticipate these intangibles and address early. If you want to be totally hands-off, you will need to hire a property management company. Sections 1-5 will cover the online aspects of the management. You need to do this before you host your first guest. Sections 6-9 will cover the offline aspects and are more management based. If you’ve been reading my blog, you have the knowledge and skills to do this on your own. Of course, you can always save time by hiring me. This will increase your conversion rate and decrease the number of questions you get right from the start. Remember to re-optimize at least semi-annually. Smartbnb will automate up to 90% of your guest messages. Also, you will need to create message templates to automatically send to your cleaner and/or check-in person for any new, altered, or canceled reservation. After initial setup, this tool will require infrequent maintenance. Additionally, Smartbnb will automatically leave a positive guest review based on one of many templates you provide. This is crucial. Just as crucial as any other step. The reason why I’m highlighting it more is that most hosts don’t feel this is crucial. 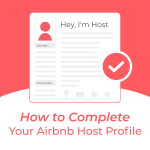 In the 100+ Airbnbs I’ve stayed in (over 400 days as of mid-2018), zero hosts have sent me an electronic guidebook opting instead to answer numerous of my questions. Having an electronic guidebook will save you time and make you appear more professional. After initial setup, this tool will require infrequent maintenance in the future. I recommend adding this to your message template in Smartbnb send 4 days before check-in. You must keep your neighbors happy. This neat piece of hardware and software accurately tells you when the noise level in your home has increased to a point where it might start disturbing neighbors. By intercepting this issue early, you will save yourself time and money in the long run. After initial setup, your time will only be required to send a message or make a phone call to the guest on rare occasions when you receive an alert. 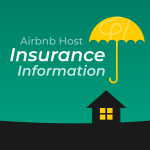 Related reading: You should first be actively viewing the guest profile and messages to understand who is a high-risk Airbnb guest. 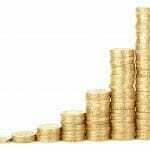 If your goal is to maximize occupancy and nightly rates, you need a smart pricing tool. There are many quality providers out there, but I prefer PriceLabs. They automatically update your calendar, plus allow for many customizations like allowing a guest to book an orphan night or increasing your nightly minimum for reservations far into the future. After the initial setup, I recommend monitoring on a weekly basis which takes about one minute. Related: Check out my PriceLabs YouTube video. There might be more smart lock options than Airbnb listings! I use this one. It is simple, easy to install, and gives zero headaches. 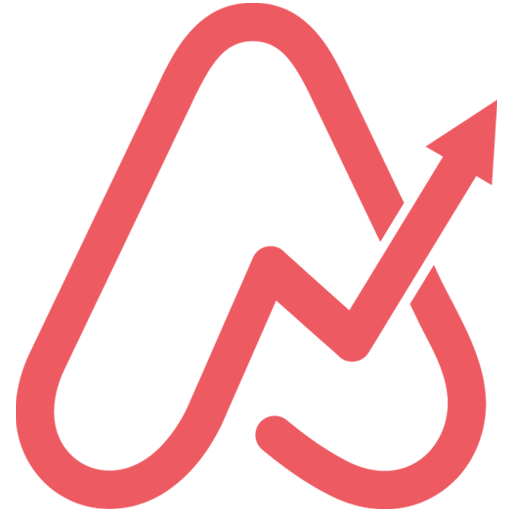 If you want a more technologically advanced option, go to RemoteLock, they’re official partners with Airbnb and offer some really neat solutions. Just know it’ll require a bit of extra time up front to learn the software and install. In either case, you will communicate the access code to the guest with an automated message. Once set up, this requires virtually zero work. I recommend having a backup lockbox nearby with an extra set of keys. I recommend this one. Note about “Smart Locks”: I recently took on a new Airbnb listing for full-service property management and the host was super excited and wanted the best of everything, including a high tech door lock. I advised against this based on my prior experience. The host went with the high tech lock and had to replace it once and the first 5 of 7 guests needed to get the lockbox code. It’s true that these high tech locks provided added security in creating unique codes for each guest and the cleaners, but the technology is not there yet and often requires quick a bit of maintenance, something we want to avoid. Related: I have created an Airbnb Cleaning Team Checklist to help you find good cleaners, how to communicate with them, and what technology in the forms of phone applications you can use. This person will need to be available in times of emergency only like when the guest injures themselves or throws a party (extremely unlikely if you follow this strategy). These are extremely rare instances and building in back up plans to everything solves most all of these issues. Ideally, this will be the cleaner or someone who is already familiar with the property. You will communicate the emergency contact to the guest, but inform them to only reach out for true emergencies. All else should go through the host. Given the unique nature of this job, you need to find someone with a very stable, consistent life without any extracurriculars. This is because the person needs to be on-call 24/7, but you can only pay them when they need to respond to an emergency. This is why cleaners are a good idea, as they have an existing company and you can work out a deal to pay a premium if the guest needs their attention at odd hours. Additionally, retired folks can make great emergency contacts (ideally, a retired neighbor). You need to inform the guest of your emergency contact but make it clear they are only to be contacted in times when urgent help is needed. All else should flow through the Airbnb system and to you. I add the emergency contact to the guidebook and to the check-in message template. This is one of the things you want to repeat (remember, normally you are forbidden to repeat information!). To be honest, the overall process goes a little deeper than this, but the above covers 90%+ without bogging you down in minutiae. Some things can only be learned on the job. However, I’ll provide one example here. It has to do with cancellation policies. 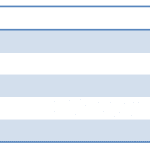 I recommend a flexible cancellation policy as I believe Airbnb favors these listings* (ie. It creates a better guest experience). But, even if they did not, I would still be on a flexible cancellation policy. I want flexibility as a guest and I want to give my guests flexibility. If I had a strict cancellation policy and the guest needed to cancel, they’re likely going to reach out with a legitimate reason as to why they need to cancel and ask for a refund. At the least, you waste time exchanging a few extra emails and feel bad for not refunding them. At the most, you end up wasting time exchanging emails and refunding them in which case you should’ve just had a flexible cancellation policy to begin with. This isn’t a rule because on two of my properties, I have a Moderate cancellation policy as they seem to draw a particularly higher number of bad guests. In this case, I’ve decided to forgo extra income (by increasing restrictions on my listing) in favor or avoid a headache bad guest and all the issues they bring to the table. 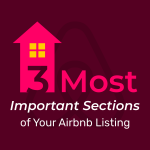 *Although Airbnb has never officially said that a flexible cancelation has a positive effect on your search results, I believe this to be true for a few reasons. 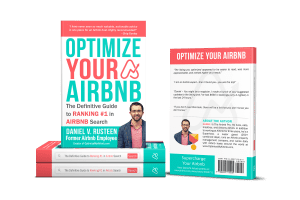 First, Airbnb has stated they ‘encourage more bookings-especially for more flexible listings.’ Second, it creates a better guest experience and Airbnb favors guest experience over host experience (ie it’s more a priroity to attract more guests than hosts). Third, based on my observation of testing Airbnb does on the site which seems to suggest flexible cancelation policy is preferential in terms of search results. To conclude, if you dread even the tiniest amount of customer service or guest interaction then above is not for you. But, I truly enjoy engaging with guests. It’s fun to be an Airbnb host! I’m curious, what did you think of this blog post? Are you going to implient it? 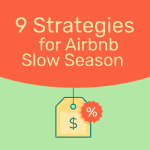 Even better, are you going to pause your Airbnb management services and give this a try?